(3) Salter Street was the south limit; and Buckingham, the north. City Atlas of Halifax, Nova Scotia. From Actual Surveys and Records by and under the supervision of H.W. Hopkins, civil engineer. Provincial Survey and Pub. Co. G. B. Vandervoort Manager. 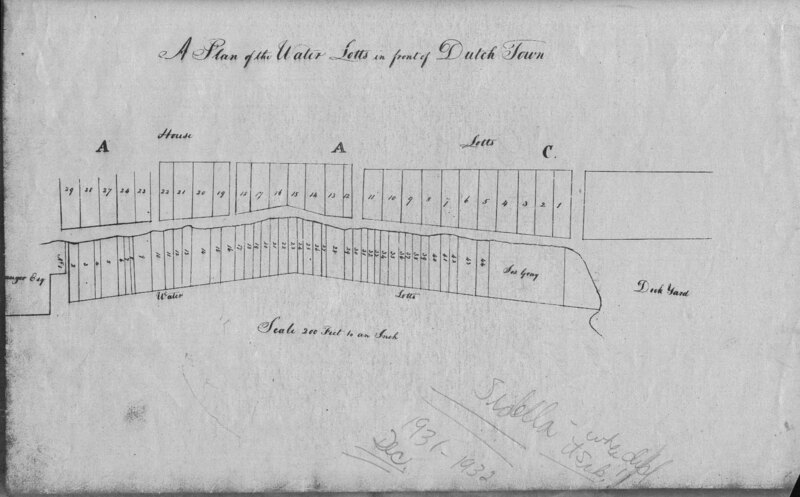 Sparrow Formerly Occupied the Store Operated by Louis Poesche on June 18, 1782. OWNED MARCH 5, 1782 - ? 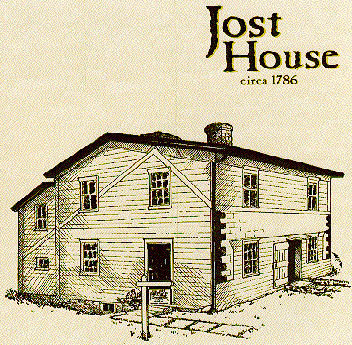 "for the consideration of four hundred pounds the grantors [Richard John Uniacke] transfer to Mr. Brown the lot and house in Hollis Street, Letter C, Number 4, in Foreman's Division ..."
Collections of the Nova Scotia Historical Society, Volume 9, (1895) p. 82. OWNED SEPTEMBER 26, 1787 - ? NOTE: This entry is rather confusing for me. 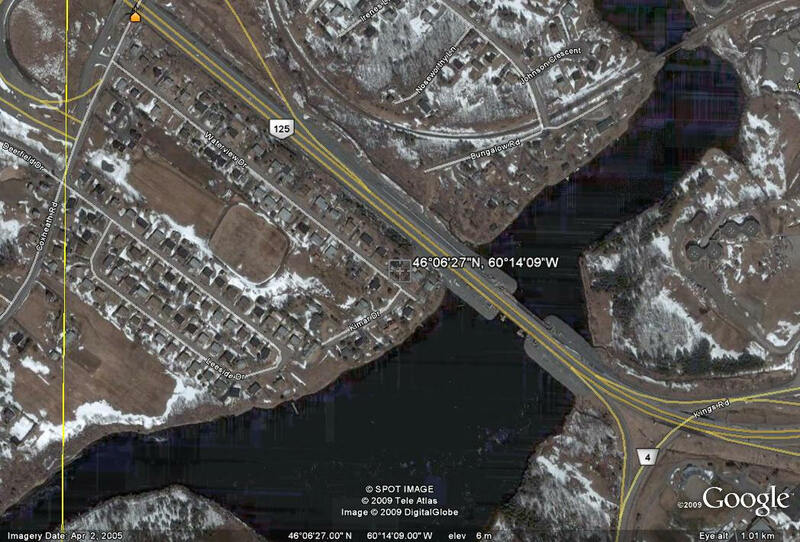 The maps I have checked out put Gibbon on one side (west side) of Sydney River, yet the two named for grants are on the opposite side (east side) of the river. Maybe someone could clarify this for me. Place Names have Alexander Haire (C.B. I-184), Samuel Sparrow (C.B. 40). The Hon. R.Gibbons (C.B. 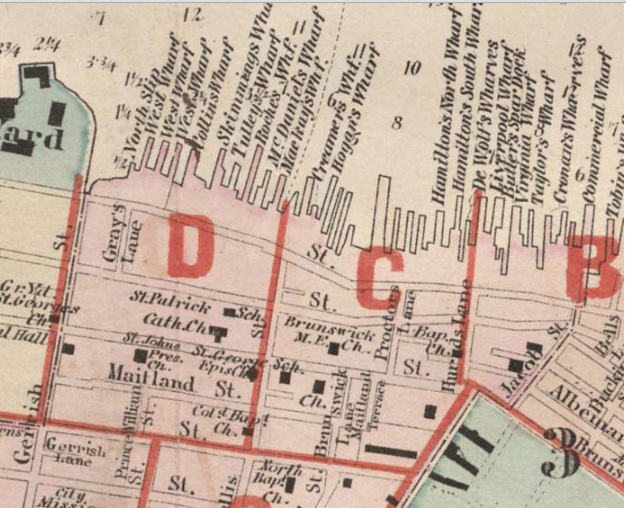 494) also lived on the east side of the Sydney River as Haire and Sparrow and they are listed in the Sydney River area according to grant map. To me it appears that John Lewis Stout (C.B.330) and Alexander Cantley (C.B.293) are located where Gibbon is marked on my map. For help Gibbon is located: -at 46°06'27"N, 60°14'09"W in the Marconi Drive region of the Cape Breton Island, Cape Breton county. GIBBON, Cape Breton County, p. 231 It is on the railway spur between Sydney and the Point Edward Naval Base near the point where the line crosses the Sydney River. It was named after the Gibbons Family, several members of which lived here in the late 19th century. A station was established here in the early 1940's when the railway spur was built. Settlement probably began here in the late 1780's, and land was granted in 1786 to Alexander Haire and Samuel Sparrow.